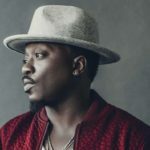 Anthony Hamilton is an American singer, songwriter, and record producer who rose to fame with his platinum-selling second studio album Comin’ from Where I’m From (2003), which featured the title track single “Comin’ from Where I’m From” and the follow-up “Charlene”. Nominated for 12 Grammy Awards, he is also known for the song “Freedom” from the soundtrack album of Django Unchained co-written and sung as a duo with indie soul singer Elayna Boynton. "I learned patience, perseverance, and dedication. Now I really know myself, and I know my voice. It’s a voice of pain and victory." "I wanna change the game in way where I’m not knocking nobody out of the way, not claiming to be the best at this or that, but just doing wonders with the gift I’ve been given."